Two Chicks is committed to serving delicious comfort food with friendly, warm service. 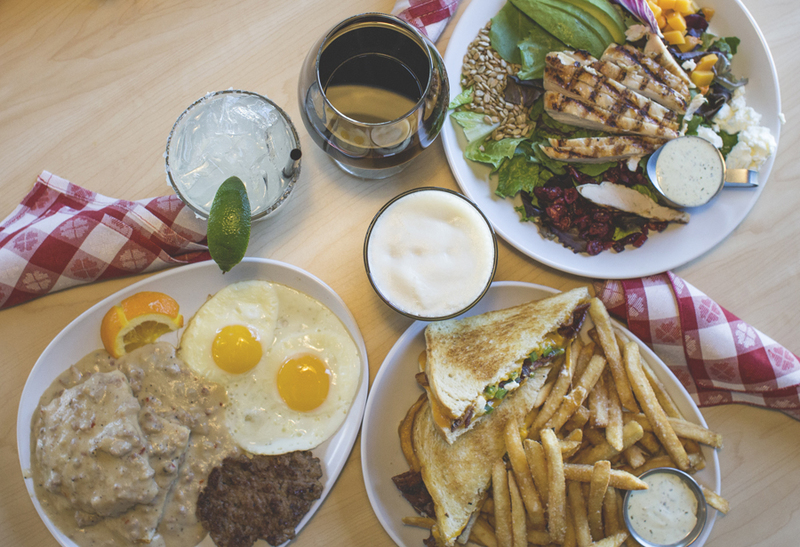 We have all your favorite breakfast items with a modern, creative twist as well as GourMelt's famous grilled cheese sandwiches and a full bar with fun cocktails. The Two Chicks are Haley and Jessie, Nevada natives and Midtown enthusiasts. We use local free range eggs, fresh baked bread, fire-roasted coffee, and feature local breweries. We are committed to the "buy local" movement and will procure the freshest ingredients from farms and dairys in our area. Our food is made with the love and care you would expect from family because that is what you are to us!